Buyers Cross-over relief values range from 10 to 20 gpm and fit 1/2" SAE, 1/2" and 3/4" NFPT connections. Buyers Inline Relief Valves Are Designed For Full Flow With Low Pressure Drop In A Variety Of Hydraulic Applications. 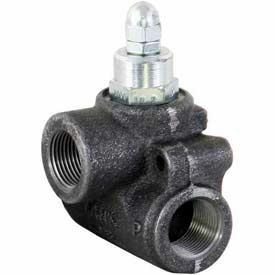 Buyers Inline Relief Valves are made of cast iron for long lasting durability. Features a unique flow design for superior performance. Preset at 1600 PSI. Adjustable from 1501-3000 PSI for enhanced versatility. Flow rates are 20, 30 or 50 gallons per minute. Available in 1/2 or 3/4 inch NPT or #12 SAE. Package quantity is 1. 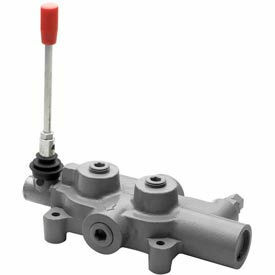 Buyers Electric Sectional Valves Are Designed For Full Flow With Low Pressure Drop In A Variety Of Hydraulic Applications. 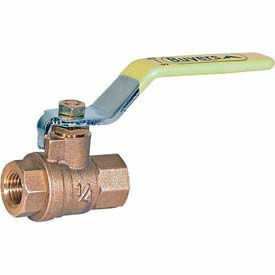 Buyers Electric Sectional Valves are made of steel for long lasting durability. Features a precision control design for superior performance. All valves are 12 volt for greater reliability. All ports are #8 SAE straight thread for ease of use. GPM is 11. Pressure rated to 4300 PSI. 2.4 amps. Package quantity is 1. Flow Control Valves & Check Valves Are Designed For Full Flow With Low Pressure Drop In A Variety Of Hydraulic Applications. Flow Control Valves & Check Valves are made of steel or brass for long lasting durability. Features a precision control design for superior performance. Available in a variety of NPT and SAE configurations. Maximum PSI and sizes vary per model. Package quantity is 1. 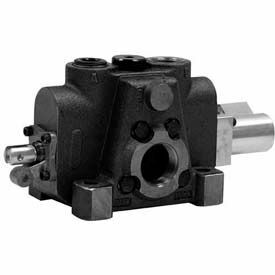 Buyers Flow Divider, Cross-Over Relief, Selector Valves Are Designed For Full Flow With Low Pressure Drop In A Variety Of Hydraulic Applications. 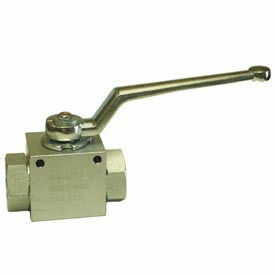 Buyers Flow Divider, Cross-Over Relief, Selector Valves are made of steel for long lasting durability. Features a hydraulically balanced spool that allows valve to be shifted under full line pressure for greater versatility. Seal is operated in an unloaded condition for ease of use. Two positions. Flow rates are 10, 20 or 30 GPM. NPTF sizes are 1/2, 3/4 or 1 inch. Package quantity is 1. 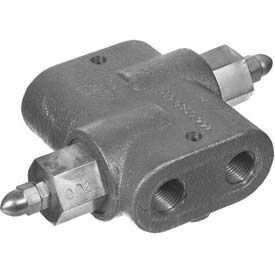 Buyers Hydraulic Spreader Valves Are Designed For Full Flow With Low Pressure Drop In A Variety Of Hydraulic Applications. 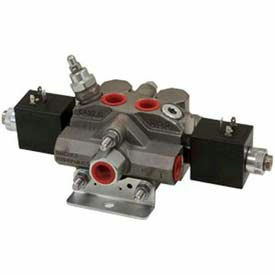 Buyers Hydraulic Spreader Valves are made with an aluminum body for long lasting durability. Features a single or double flow regulator with built-in on/off control for enhanced versatility. System relief and pressure compensated design for added reliability. Easy installation with minimum plumbing. Detent hand knob for each flow control for ease of use. 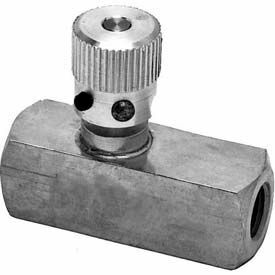 All ports are 3/4 inch NPT except 1/2 inch NPT spinner port. Standard relief cartridge setting is 1500 PSI. Maximum pressure is 2000 or 3000 PSI. GPM and valve type vary per model. Package quantity is 1. Hydrastar Full Flow Control Ball & Gate Valves, Non-Shock Are Designed For Full Flow Control Of Air, Oil, Water And Gas With Low Pressure Drop In A Variety Of Hydraulic Applications. Hydrastar Full Flow Control Ball & Gate Valves, Non-Shock are made of brass or steel for long lasting durability. Features a precision flow design for superior performance. Gate valves offer a screwed bonnet, non-rising stem and integral seats for ease of use. Maximum pressure is 200 or 600 PSI W.O.G.. Port sizes are 1/4, 3/8, 1/2, 3/4, 1, 1-1/4, 1-1/2, 2 or 2-1/2 inch. Package quantity is 1. 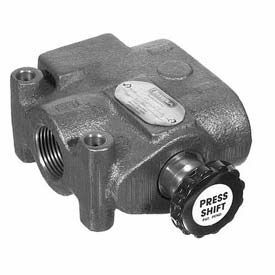 Buyers Hydraulic Directional Valves Are Designed For Full Flow With Low Pressure Drop In A Variety Of Hydraulic Applications. 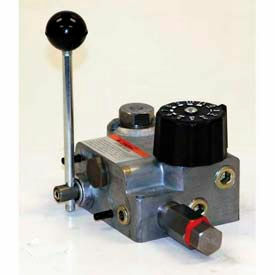 Buyers Hydraulic Directional Valves are made of steel for long lasting durability. Features a precision flow design for superior performance. Relief valve preset at 2500 PSI for increased reliability. 3 position, 2 way design with 1 inch air shift NPT ports for greater versatility. Can be shifted with handle. Nominal flow rate is 35 GPM. Package quantity is 1. Dynamic High Pressure Ball Valves Are Used For Demanding Applications Requiring Accurate Pressure Resistance. Dynamic High Pressure Ball Valves are made of 2-way or 3-way rugged carbon steel construction for long lasting durability and reliability. Blow-out proof stems and a full and reduced port up to 7,250 psi with valves provide ease of use. Various seal materials available. Available in a variety of port sizes and maximum PSIs to meet job requirements. Package quantity is 1. Model Jpls-3000 offers a hydraulically balanced, chrome plated spool and detent release pressure adjustable from 1000-2000 Psi. Recommended for system flow up to 25 GPM, the JPLS-3000 relief valve is adjustable up to 2500 Psi. Tandem center spool (in neutral position) both work ports blocked, the pump unloads to tank. Ideal for log splitter applications.